Here is a Sample Food Journal to correct. I make some changes to take the total daily calories from 4,034, down to 1,703, and show you some ways that you can incorporate healthy diet habits to make these simple changes to save calories. Your food journal would show you that you ate way too many calories that day, and give you some ideas on where you could make some changes. Try to make some changes on this menu by using some diet tips that you already know? Can you get this meal plan under 2000 calories, and what changes would you make? If you do not know some basic calories off the top of your head, that might be a clue that you need to carry a small calorie guide or get a phone app. that counts calories for you! I recommend the Calorie King Guide - you can purchase it below, directly from Amazon.com. See my ideas below for my suggestions on reducing the calories! Your Calorie Intake for the Day would now be: 1,703 Yeah!!! By making some simple changes, and adding a few lower calorie foods, and the 100 calorie snack cookies, your Total daily calories from meals could go from 4,034 to 1,703 calories! Another thing that jumped out at me was that this person needed to eat more vegetables. I would get rid of the roll for dinner and have a non-starchy vegetable, because you already have a potato. I might add in a Greek yogurt at breakfast, and only have one muffin. You can make substitutions, and still eat what you love. 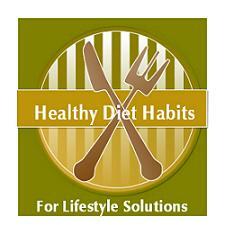 You do not need to diet, just make some simple substitutions, like I did, and you will learn to save calories. This person might want to add a small handful of almonds, with an Americano, for their morning break to get them through to lunch, and keep their blood sugar more balanced. On this sample journal, we only included our foods, but on the journal chart included, you will be able to include as much information that will help you identify your hunger, feelings, food cravings, and what you were doing. Were there triggers that brought on the eating? The more information you include on your journal, the quicker you can see your patterns and make changes. There is no healthy way to get skinny quick but journaling will give you a great heads up on where you need to make some new healthy diet habits. You can purchase my recommended Calorie Guide, The Calorie King Guide, below, directly from Amazon.com.